MUSCLE SHOALS, Ala. (AP) — Sound engineer Jimmy Johnson knew he had captured something special on tape as Percy Sledge finished singing "When a Man Loves a Woman" in a recording studio in 1965. Hood — the father of Drive-By Truckers front man Patterson Hood — played with Sledge for years and last saw him in the fall, when friends threw a benefit show for Sledge after learning he had been diagnosed with liver disease. Atlantic Records executive Jerry Wexler later called the song "a transcendent moment" and "a holy love hymn." 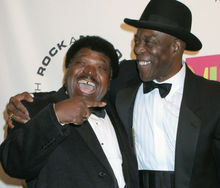 Sledge's hit became a standard that sustained his long touring career in the United States, Europe and South Africa and led to his induction into the Rock and Roll Hall of Fame in 2005. It was a favorite at weddings — Sledge himself did the honors at a ceremony for musician and actor Steve Van Zandt — and often turned up in movies, including "The Big Chill," ''The Crying Game" and a 1994 Meg Ryan drama named for the song's title. "'When a Man Loves a Woman' is one of the greatest and most compelling of the soul ballads that have ever been recorded," he said. "It set a trend that was followed throughout the '60s and '70s by a number of artists." Santana reported from New Orleans. Associated Press writers Kevin McGill in New Orleans, Brian Slodysko in Baton Rouge, and Mesfin Fekadu and Hillel Italie in New York contributed to this report. 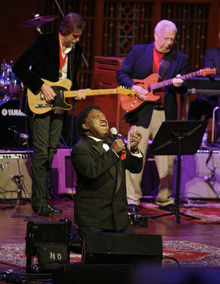 Percy Sledge. A soulful voice of all time, was instrumental in my life. His music geared to have an appreciation for all genres and periods of music. My favorites are the iconic "When a man loves a woman" (of which I played during my wedding in 2009) and " Take time to know her". I am blessed and privileged to have met him in 2013. We share a special bond because our birthdays are two days apart. 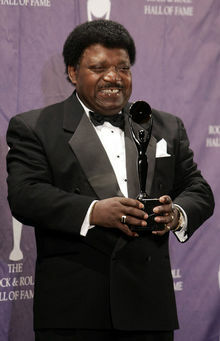 He will forever be in my heart...because this woman will always love that man, The Honorable Percy Sledge. R.I.P. Love beyond measure, SFM. Thank you, Percy for your awesome voice and songs.RIP. We love you. I remember exactly where I was when I heard this song on my transistor radio. It led to my saving for a hi-fi stereo so that I could hear it on a better system. I had the vinyl for years, then the cassette and it was one of the first DVD's I owned. And yes, it played at my wedding because my fiance/husband requested it. I loved him even more for requesting it! Otis Redding and Percy were my heroes! Blessed Be, Linda Rural Minnesota. What a gift your beautiful music is to all of us. What a moving, amazing musical legacy you leave with us. Godspeed, Percy! Fly home Percy, you made a difference in the world. With your music you made so many people sing along with you. When a man loves a woman was the song that was sung to my husband and I when we got engaged. My husband recently has passed away I still associate that song with us. Music and the people who sing those songs make us all have memories that are happy. It's a beautiful thing we all share with each other. Talents that God gives us . Thanks Percy ! Heaven is blessed with your beautiful music. Peace, solace & happiness to you & your family Mr.Sledge. Your music fills my heart. Thank you. You will be missed. May love bring you comfort and hope bring you peace!! As a long-time fan of Percy I can still remember where I was and who I was with the first time I heard and fell in love with his music. May he rest in peace. Rest with God Percy. You were a good friend and my heart grieves with your family and friends today.